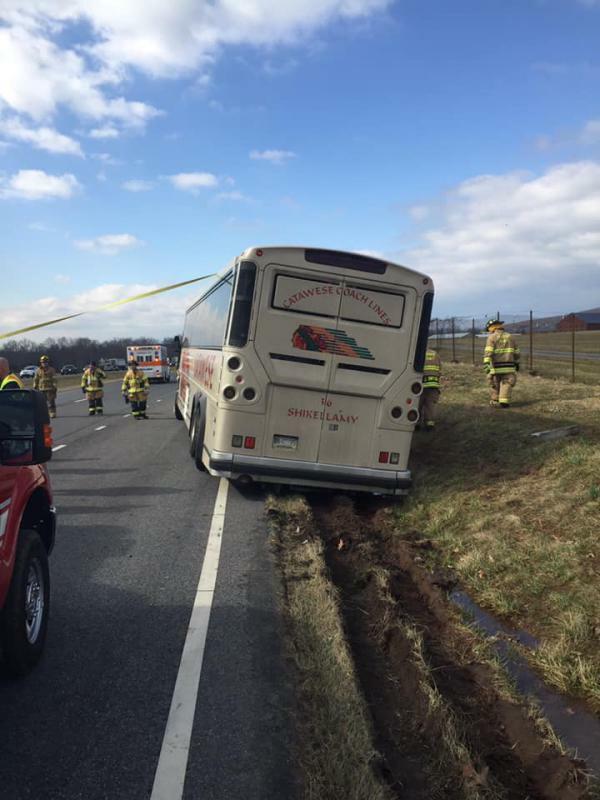 On March 22nd at 0942hrs Rescue Box 6-20 was alerted for the Bus Accident on RT15 at Creamery Rd. 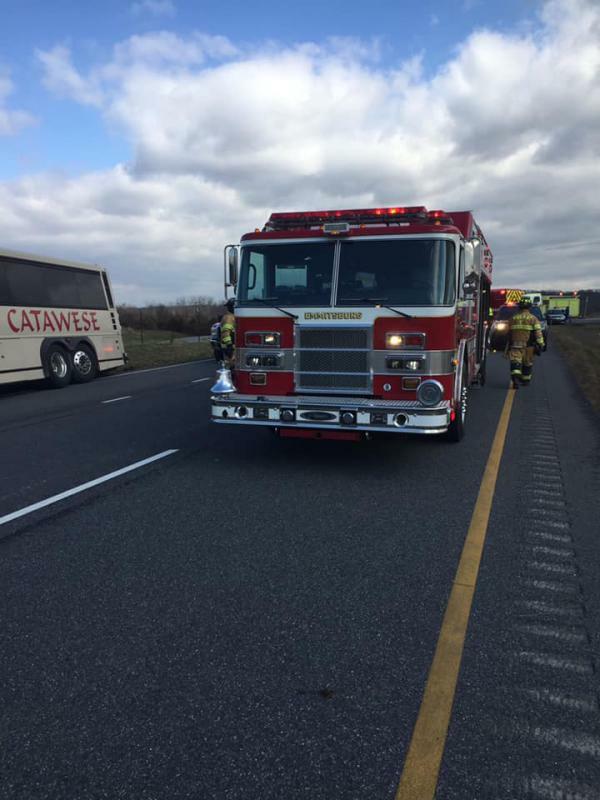 Vigilant Hose Company (VHC) along with mutual aid partners from Guardian Hose (FC10), Rocky Ridge (FC13) and Thurmont Ambulance (FC30) responded. 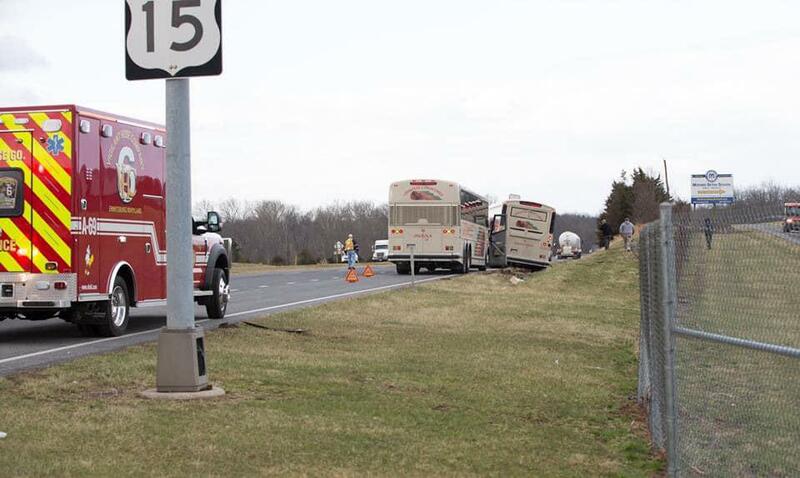 A69 arrived to find a charter tour bus partially off the roadway into a water culvert, with a few of the occupants evacuating, along with a propane transport truck and a passenger car involved. Past Chief Stahley arrived on scene while traveling in the immediate area and assumed the RT15 command. 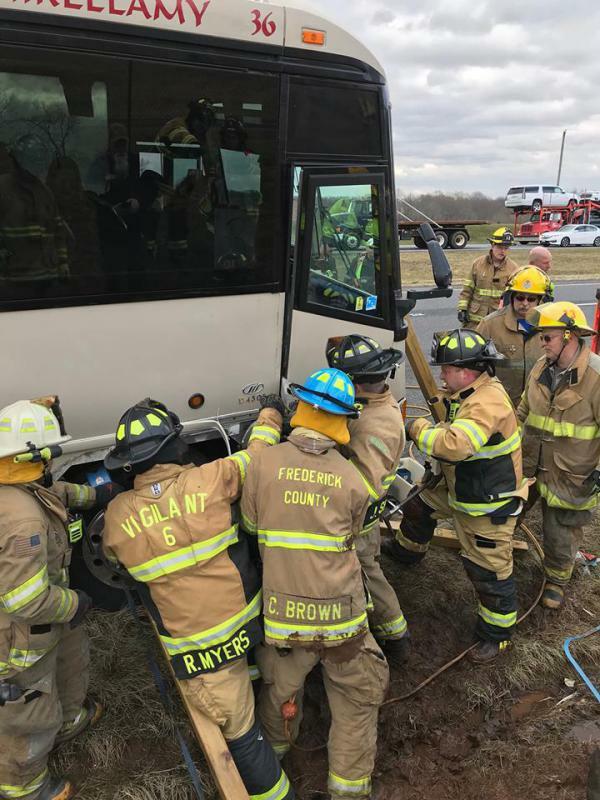 Crews from RS6 (FFIII C. White) began to stabilize the tour bus and were assisted by RS10 (Lt. C. Brown) upon their arrival and supported in the remaining evacuation of the bus. 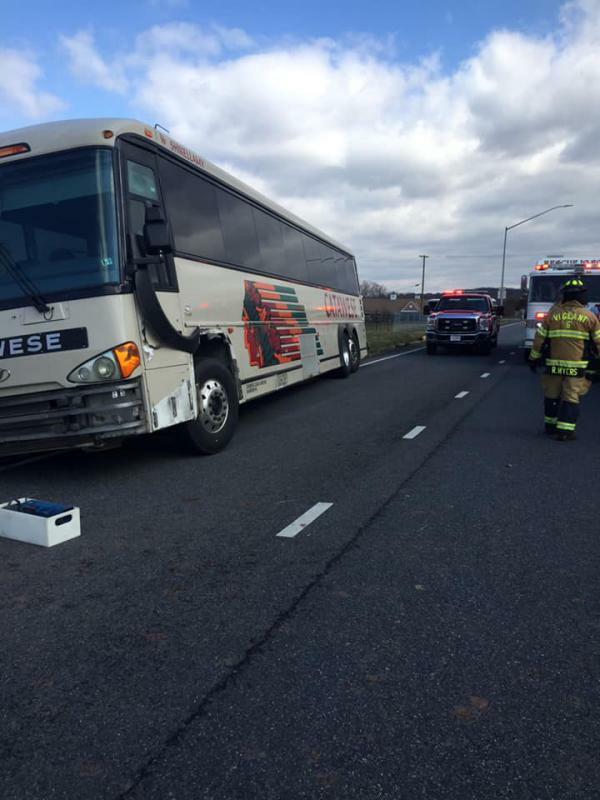 The crew from A69 began triaging and assessing the occupants of the bus and assigned patients to arriving ambulances. 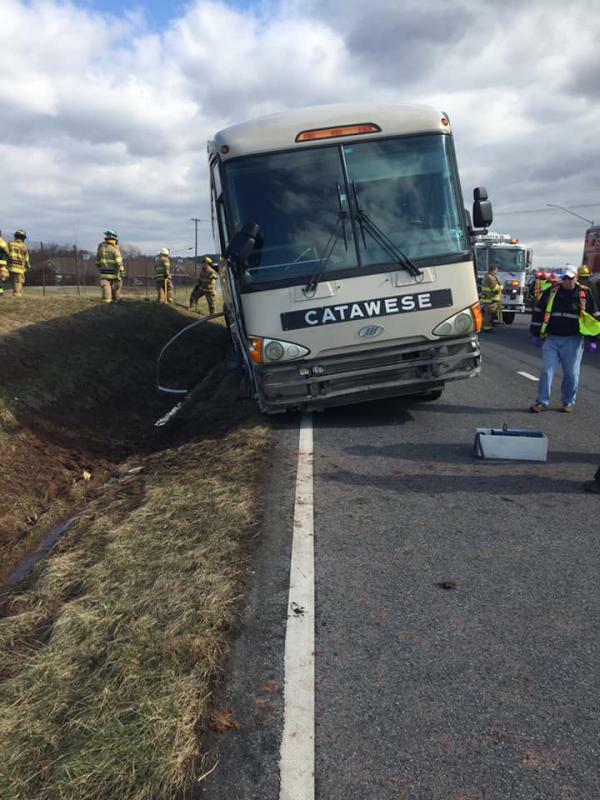 E63 (Past Chief Orner) provided additional blocking and crews assisted the rescue group and EMS. E133 (DC Humerick) also assisted. No serious injuries as a result of the incident. 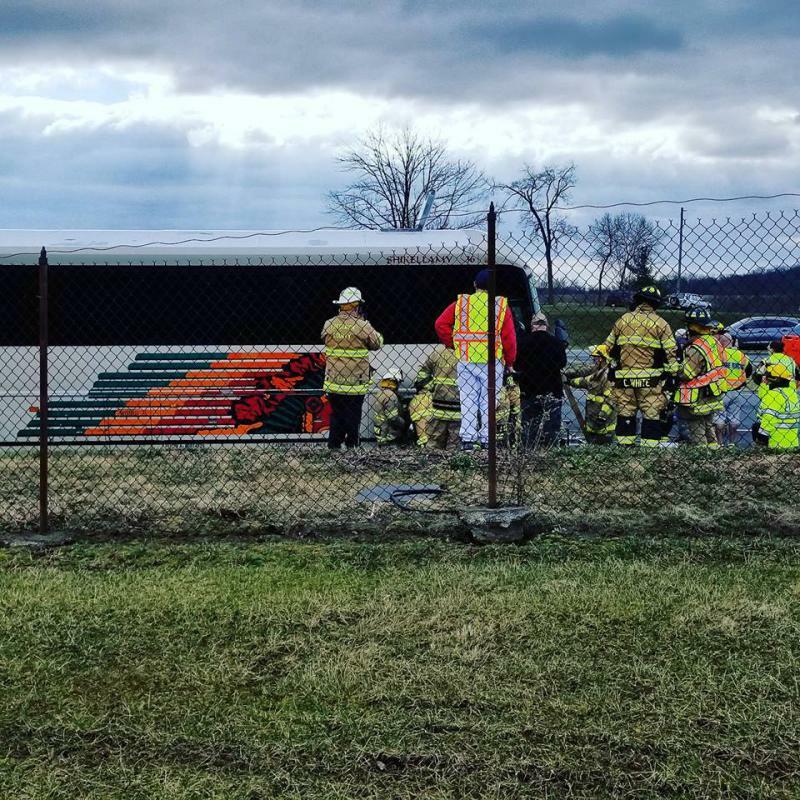 Occupants from the bus which were traveling to Washington, DC from Schuylkill County, Pennsylvania for a school field trip were transported to the VHC Activities Building on Creamery Rd just down from the incident scene. Over 100 of the occupants were provided food and drink by VHC volunteers as alternative transportation was obtained. This incident had the potential to rapidly escalate with all the conditions that were present. A quick response by volunteers and assigned county personnel from all the dispatched companies and strong training in rescue operations from personnel on RS6 & RS10 enabled a hazardous situation to be mitigated quickly. 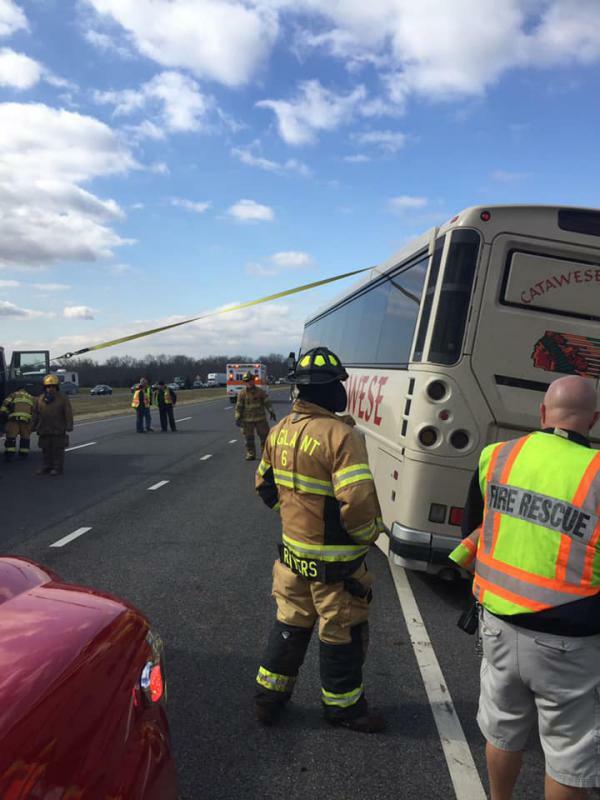 In Frederick County a "Rescue Box" is a special assignment in which there exists a high probability of injury and rescue of those involved in the incident (eg a Mass Transit Accident). 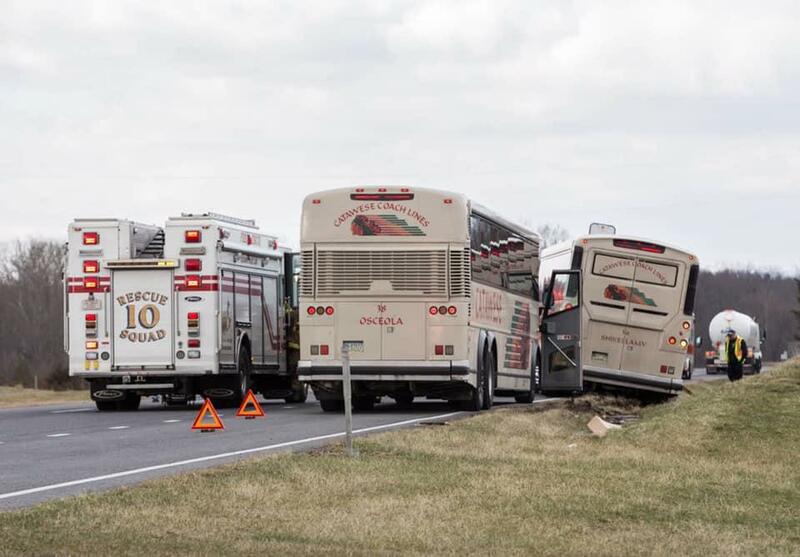 The dispatch consists of two Rescue Squads, four Ambulances, an Advanced Life Support unit, two Engines along with the area Battalion Chief, Safety Officer and EMS Supervisor from FCDFRS. 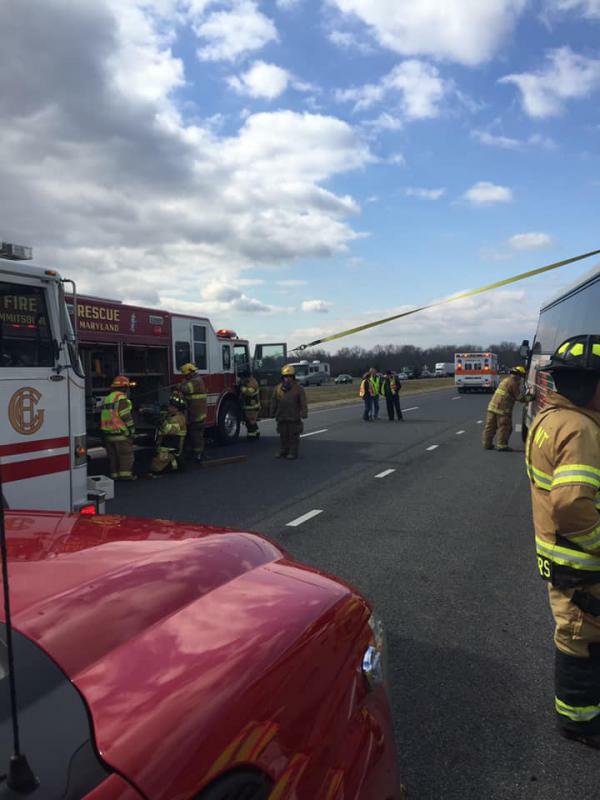 The north region of Frederick County (Battalion 5) is primarily served by volunteers with support from FCDFRS personnel assigned to an ambulance at FS6 and FS30 along with the ALS unit at FS30. VHC is very proud to be able to provide the service we can in the middle of a work day with so many people committed to their jobs and other obligations in life. Four VHC units responded with the staffing levels and training required and necessary to serve the public. 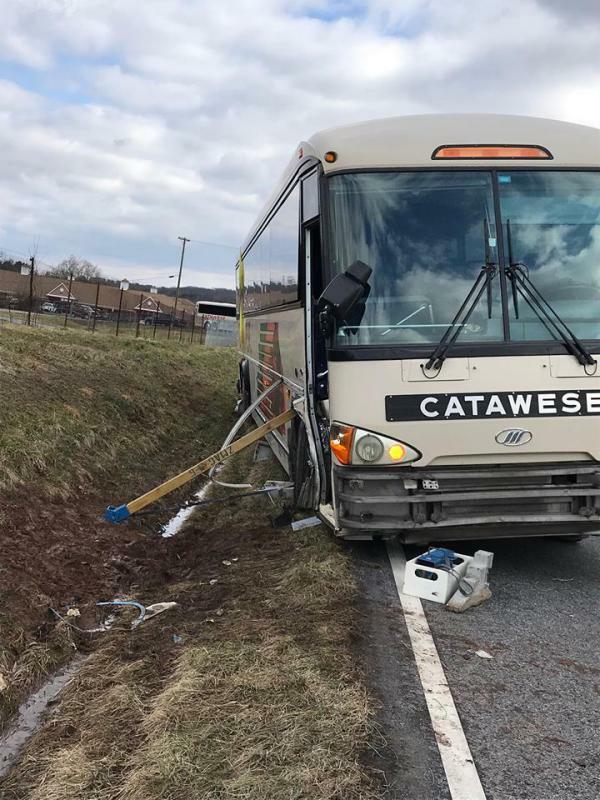 We also extend our gratitude to our partners in service at Guardian Hose, Rocky Ridge and Thurmont Ambulance for their response to this incident.